As mentioned in a previous post (Here) , FWN took a trip up to a majestic Wildlife Reserve on the banks of Loch of Lowes near Dunkeld. We were in our element as there was plenty of Wildlife to see . A large freshwater loch with a diverse aquatic flora, fringed by areas of fen, reedbeds and semi-natural woodland. 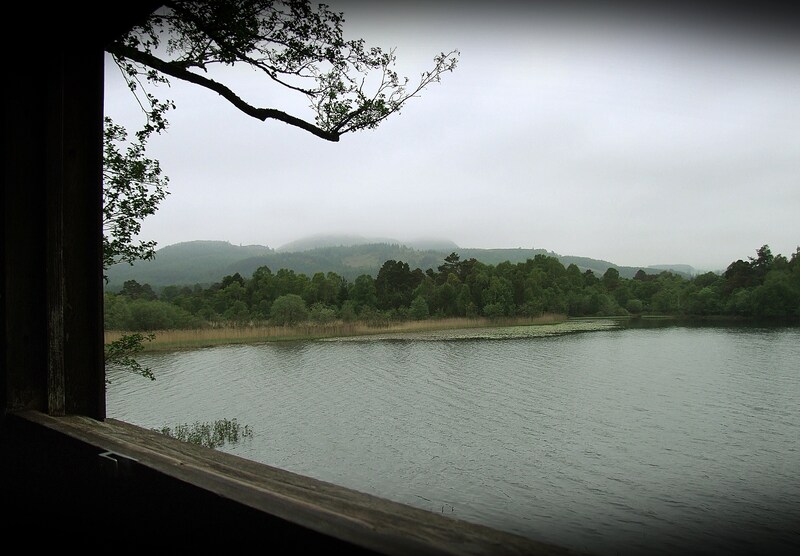 View from the hide, looking towards the Osprey nest across the LOCH OF THE LOWES. The centre is run by the Scottish Wildlife Trust and what a fantastic job they do, from warm,friendly staff who are most knowledgeable on all things wild, to the clean and vibrant wildlife centre which is right next to the various hides on the waters edge. You can observe the Osprey nest on the other side of the bank, while inside the top hide, is a live video-stream of a close-up of the nest. The Scottish Wildlife Trust is a registered charity dedicated to conserving the wildlife and natural environment of Scotland. It has more than 120 reserves throughout Scotland with visitor centres at Loch of the Lowes (Perth and Kinross), Montrose Basin (Angus) and the Falls of Clyde (South Lanarkshire). As well as providing homes for wildlife these sites are valuable places for people to interact with and enjoy wildlife. The Scottish Wildlife Trust is part of a trial reintroduction of the beaver to Scotland, begun in 2009. The Trial will run until 2014. The Scottish Wildlife Trust’s other major project is to protect the red squirrel in Scotland. 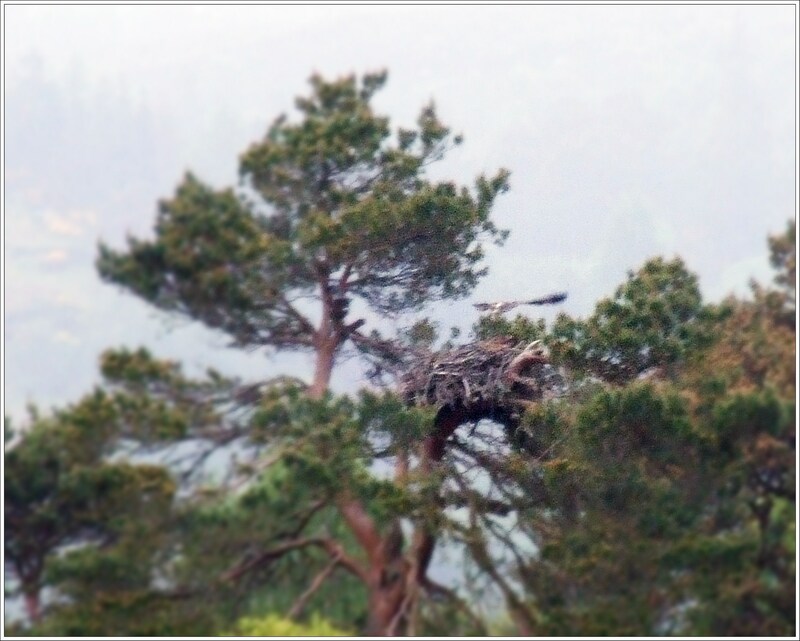 Osprey Nest on the far side banking on the Loch of the Lowes. The chick continues to develop well and is getting so big it hardly fits under his mother- though the female will continue to use her body to shield it from the weather until it is fully feathered and more waterproof. You can check out the live video stream on the link below.